Three days of exciting racing, with live radio broadcast, segment timing, special awards, Saturday night party and beautiful spring weather! Don't miss out enter today. These events will provide plenty of fun track time and are specially designed for those who want to use their street cars or track cars in a non-wheel-to-wheel high speed environment. What is it? 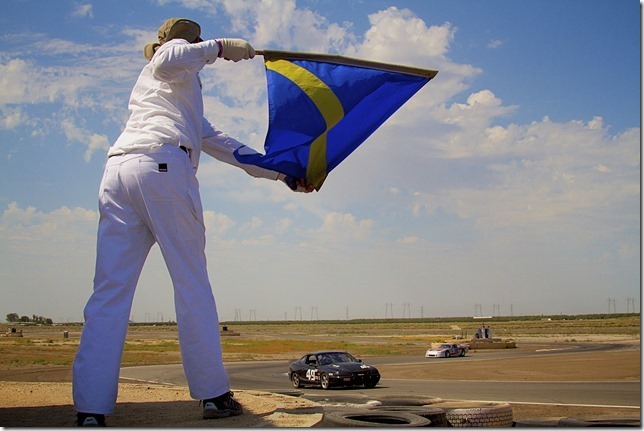 With Cal Club, you can race your family sedan against the clock, participate in road & performance rallies, race purpose-built race cars at Buttonwillow Raceway Park, Auto Club Speedway, Willow Springs Raceway. How would you like to have a race weekend named after you or your company, or maybe a family member? It's easier and less expensive than you might think. Buttonwillow Raceway Park is one of the premiere road racing and testing facilities in The United States. The track is located just ½ mile west of Interstate 5 on Lerdo Highway. State of the art tire machines & computerized balancers ensure your race, or street tire needs are properly taken care of. The brands we carry include: American Racer, Avon/Cooper, Goodyear, Hankook, Hoosier, and Toyo. Our current racing program gives us constant feedback & comparison of the newest innovations in braking technology. Specializing in Performance & Racing brake pads by major manufacturers. Fast Lane Racing School has been the Official Racing School of Toyota Racing. Danny McKeever, owner and founder and Chief Instructor of Toyota’s Pro/Celebrity race held each year at Long Beach.